Shankend holiday cottage close to Hawick in the beautiful countryside of the Scottish Borders accommodates up to six guests. 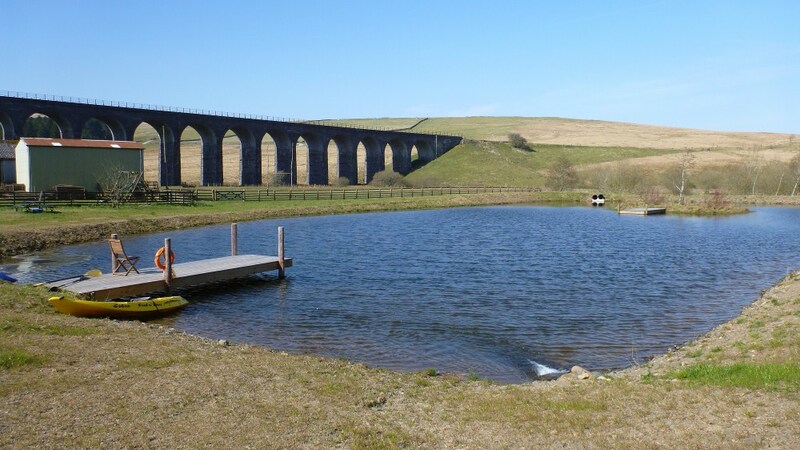 Located seven miles south of Hawick, Shankend holiday cottage provides a perfect place to relax and unwind amongst picturesque countryside with superb fishing in our own loch on your doorstep. Shankend Holiday Cottage Hawick from Moviart Films on Vimeo. This very comfortable three bedroom holiday cottage is in fact the north wing of a magnificent Edwardian Former Hunting Lodge which is set amongst one hundred acres of grounds making it the ideal holiday cottage for walkers and lovers of the outdoors. Shankend holiday cottage has been lovingly renovated in a delightful country style and the accommodation is equipped with double glazing, central heating and a cosy woodburning stove – making it a holiday cottage that is equally as enjoyable in the winter months as the summer. With its own enclosed garden, Shankend cottage sits in front of the stunning Shankend Viaduct – a magnificent fifteen arched bridge on the disused Waverley Line. The holiday cottage looks out over rolling fields where sheep graze and over the “burn” winding its way through the ancient valley. Pets are welcome at Shankend Holiday Cottage and can enjoy the fantastic countryside with you. For equestrians looking for a horse riding holiday in the Borders we have stables and paddocks should you wish to bring your own horse and enjoy the hacking amongst our stunning scenery. There are great paths and tracks which are ideal for walking or riding starting right from the doorstep of Shankend holiday cottage and the mountain biking is excellent with Seven Stanes mountain bike centre less than a twenty minute drive away with its world class trails for every ability.